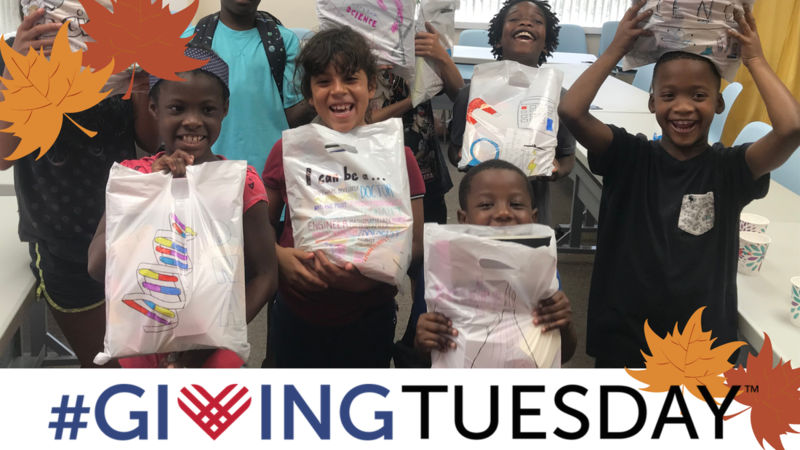 Children Beyond Our Borders will be supporting the Children Within Our Borders (CWOB) program and local communities by celebrating this year's Facebook #GivingTuesday Campaign on Tuesday, November 27, 2018. Our theme this year is Random Acts of Kindness. This Facebook social media campaign will include efforts to spread messages of empowerment and encouragement by way of generosity and charitableness. According to the National Center for Children in Poverty, 23% of children lived in low-income families in 2015 in Florida. Quality education and foundational skills are critical for children of all ages. Our Mission is to provide the best opportunity for at-risk youth in support of our neighbors and friends in the Gainesville and Orlando communities through educational workshops and tutorial services, teaching sustainable life-lessons and valuable life skills. Last Year the #Giving Tuesday campaign ("Unselfie"), raised over $1,000.00. This year we expect to exceed that amount. In Collaboration with our partners, families, individuals, schools, and local businesses, we plan to accomplish our objective by challenging ourselves, and others, through a display of care and compassion. You Can make a difference when you shop at Amazon Smile or by giving a generous donation at www.chbob.org or through our Facebook page, where donations will be matched. All proceeds will go directly to fund our Children Within Our Borders (CWOB) program. We Believe one of the best ways to support and become involved is through community social media collaboration and charitable events. We accept the challenge, and we encourage you to join us to empower, support and inspire our youth! Someone from our team will post on our Facebook page thanking you for your donation and providing you with your random act of kindness for the day! You will download the PDF take a picture with it and post it on social media using the hashtags #givebackwithcbob #givingtuesday #cboblovefor a chance to enter to win a $100.00 Amazon GiftCard! Tag a friend and earn an extra entry! Fill out the survey for even more chances to win! Every time CBOB reaches $250 we will pay it forward by sharing another giving tuesday campaign from our partners and community organizations!